Inside and out, Medallion cabinets use high-performance materials and the best construction techniques. Every cabinet is engineered to last and is backed by a lifetime warranty. Full-extension, easy access, quiet closing guides. Upgrade to quiet-close, heavyduty drawer with weight capacity up to 135 lbs. 3⁄4" thick laminated furniture board or natural maple plywood with easy to clean clear top coat material. Light maple wood grain print. I-beams are ½" thick furniture board or plywood. A superior system to the corner block system of construction. Solid ¾" thick hardwood drawer box with ¼" thick fully-captured plywood bottom. Holds more weight than other drawer box assemblies. 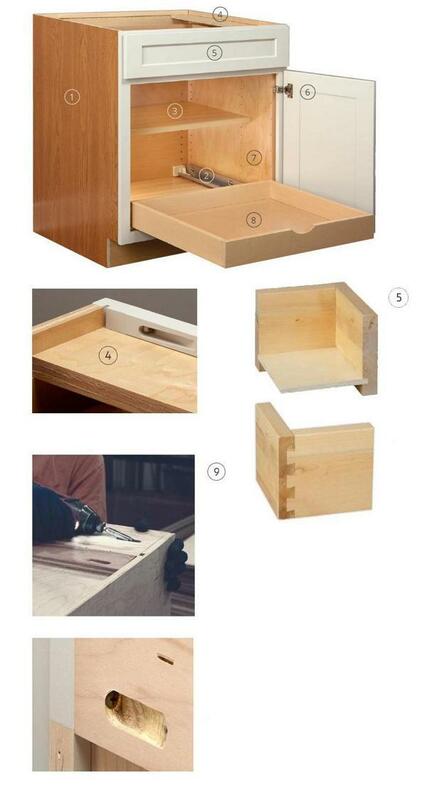 Dovetail construction provides quality craftsmanship in every drawer box and roll-out tray. Quiet-close full-extension, undermount guides provide the best access to drawer space. Six-way adjustable concealed Quiet Close hinges feature smooth and silent closing for cabinets with hinged doors. Adaptive and customizes itself automatically to closing door speed. Open a maximum of 110°. Natural maple plywood with clear top coat for sealed surface. Pocket screws and wood glue are used on the ½" thick hanger rail to keep cabinets securely attached to the wall. All Medallion cabinets are certified by the Kitchen Cabinets Manufacturer's Association (KCMA), meaning they've passed a rigorous battery of tests that simulate years of typical household use. 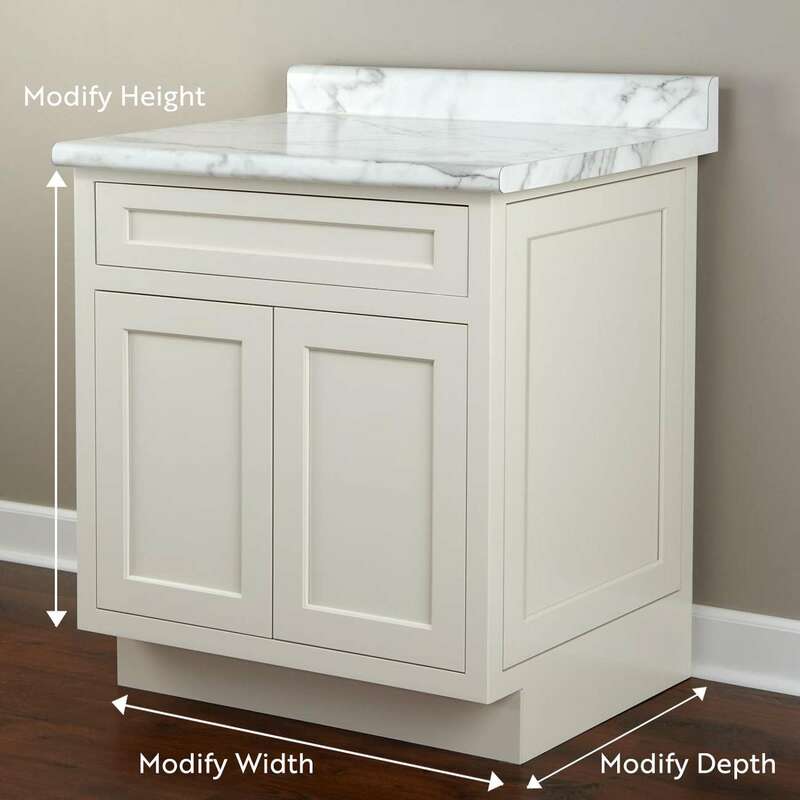 Medallion offers modifications by height, width, and depth to the ¼”, which reduces the need for fillers and ensures that cabinets make the most of your space. Since all our modifications ship complete from the factory, your install is easier and faster than ever. (Some modifications not available in Deluxe). 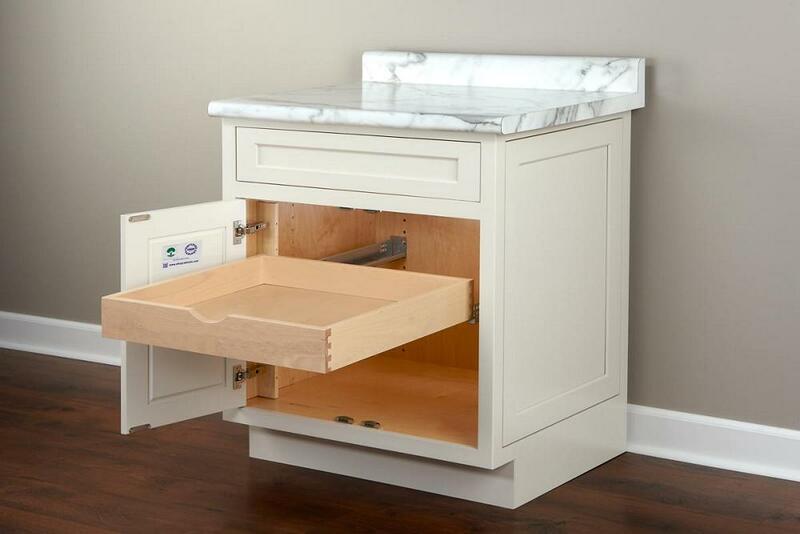 With over 14,000 modifications, it's easy to create custom-look cabinetry that fits your space perfectly. We also add modifications right at the factory, saving you time and money on installation. For one-of-a-kind designs, ask your Menards Team Member about our custom quote option. 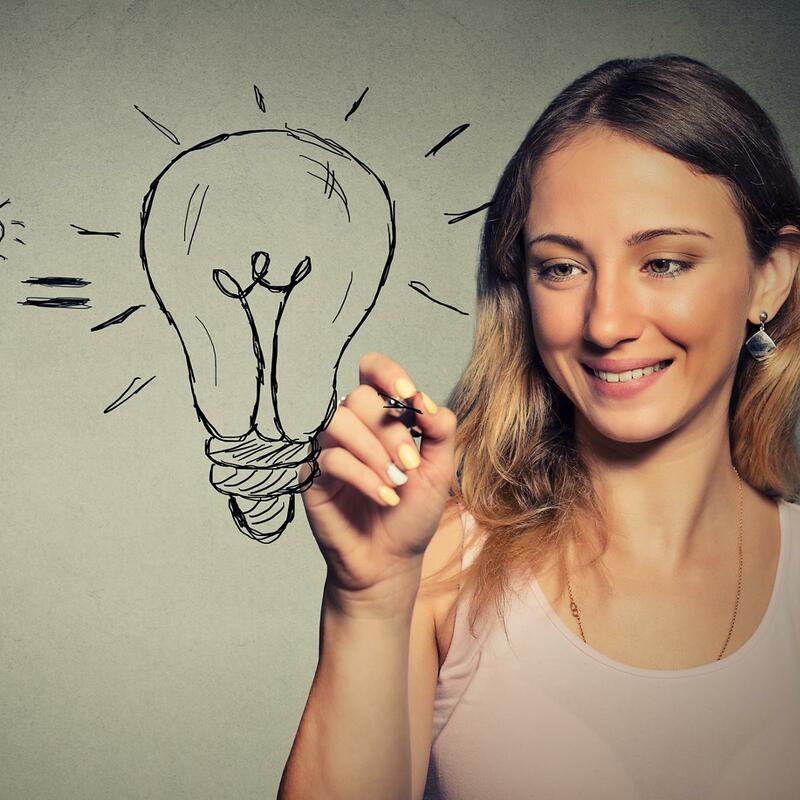 A skilled Custom Quote agent will work with you to create smart solutions that uniquely fit your home's needs.